Return of the Obra Dinn is ranked in the 99th percentile of games scored on OpenCritic. I was glued to it until I was done. My only wish is that I could erase my brain and play it again. Obra Dinn asks you to tease out social lives from a freeze frame of murder. It doesn’t take the little grey cells to realise this is remarkable stuff. It's hard to find flaws in Return of the Obra Dinn. Everything's so polished and well-planned, completely new and familiar at the same time. There's nothing even similar to this game on the market, and, when it was over, I just wanted to keep investigating more strangers' destinies for hours on end. 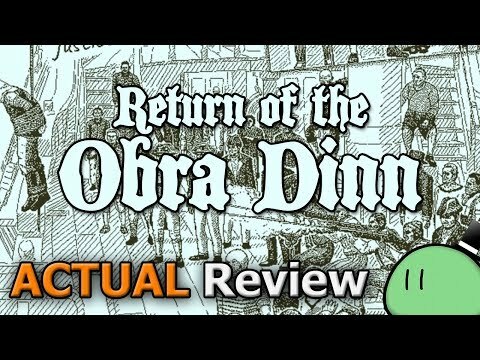 Other than the Myst games, I can’t think of any obvious points of comparison to help you decide whether or not to give Return of the Obra Dinn a chance. The lack of guidance and completely open nature of the puzzles separate it from the likes of The Vanishing of Ethan Carter which had you solving smaller puzzles one at a time. This originality is the exact reason you should try it for yourself. I can’t guarantee you’ll love it as much as I did, but I’m certain it will keep nagging away at you in the back of your mind, encouraging you to boot it up one more time to see what else you can discover. Return of the Obra Dinn proves that there are still untouched ideas in the gaming world, and it is possible to create a game that is completely new. The game combines the power of its 1-bit graphic, impressive storytelling, and unique gameplay to make on the best detective and puzzle solving experiences for the gamers. I only hope to see the next Lucas Pope's game soon. By hewing close to genre origins, both visually and thematically (though not without some genuine innovations of his own), Lucas Pope has delivered one of the best games of the year, and certainly one of the best murder mystery games of all time. The year is 1807. The good ship Obra Dinn, missing at sea for five years, mysteriously reappears devoid of her crew. An artistic manifesto of overflowing power. Return of the Obra Dinn is a skillfully woven web of events and destinies. Unraveling it is not only an excellent workout for the mind, but also a real pleasure. Lucas Pope again remolded routine processes into an exciting gameplay, and, most importantly, he gracefully escaped the “second game syndrome”. Lucas Pope once again proved that in order to create a masterpiece, there's no need for big teams or huge budgets. Lucas Pope's key to success has always been focusing on new, brilliant ideas, and that's no different when it comes to Pope's latest game, Return of the Obra Dinn. Lucas Pope's works will probably inspire many developers who love creating Video Games but feel that they don't have enough resources for their projects for many years to come. Lucas Pope's Return of the Obra Dinn is a maritime detective mystery that is unlike most any other game in the genre of interactive fiction. With Return of the Obra Dinn, Lucas Pope once again aims for the heart : this post-mortem mystery demands quite a lot from the player, but delivers one of the most rewarding experiences of this year. Return of the Obra Dinn is not suited for everyone, but its wonderful disjointing storytelling will keep those who agree to its formula awake for long. Return of the Obra Dinn is a great blend of style, story, and unique puzzle solving mechanics, creating an experience that is both incredible and unforgettable. I love when something like Return of the Obra Dinn comes along and reminds me, even briefly, how many ideas are still unexplored. Return of the Obra Dinn is simply gorgeous, from the idea to the execution. 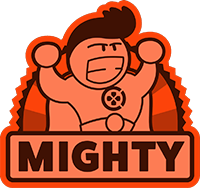 Finally a gem in which your deductive skills, your logic and your patience are really important: this game doesn't help the player. With an amazing graphic art and a strong gameplay, another great game from Lucas Pope. Return of the Obra Dinn marries challenging investigation puzzles to a striking visual presentation to create an adventure worth taking. Lucas Pope once again proved that he has a great talent for making indie games and more importantly he showed us that games made by only "one person" can turn out amazing. his latest title, Return of the Obra Dinn is an exceptional detective game that you shouldn't miss. this game with its unique gameplay and excellent story, makes you sit on your chair from the start until you've solved the last mystery of the game. One of, if not the best mystery adventures released to date. Return of the Obra Dinn skillfully combines retro art style, seldom used setting and gameplay centered around logical deduction. If you've ever wanted to be a detective or if you're fond of original videogame premises, you shouldn't miss this. If someone had told me that a career in insurance involves exploring intricately detailed worlds with a magic watch, I would probably be working in insurance right now.